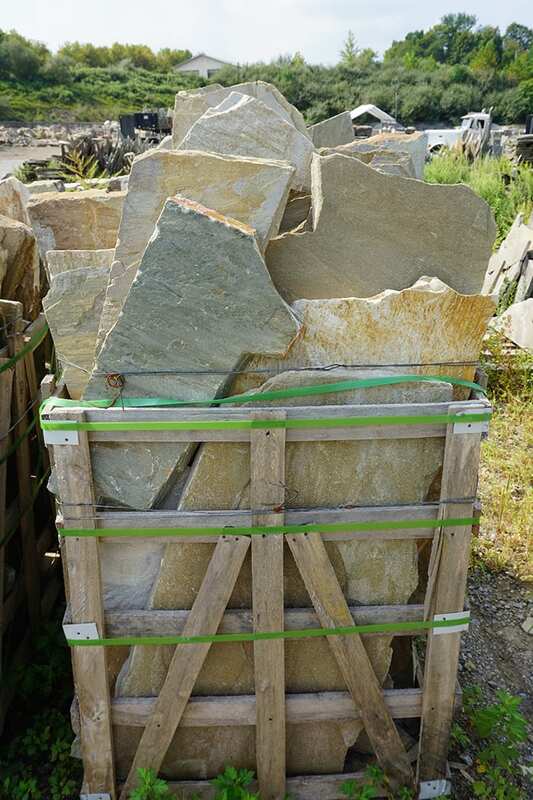 Norwegian Buff Irregular Walkway & Patio Stone - Vertical Pallet. Very colorful, rugged looking irregular walkway and patio stone choice. Numerous base color and accent colors. Primary base color is light brown to tan, but white can be prominent in some pallets. Accent colors include Gray, Brown, White and more. Norwegian Buff is a classic, rugged, colorful stone choice for irregular walkways and patios. 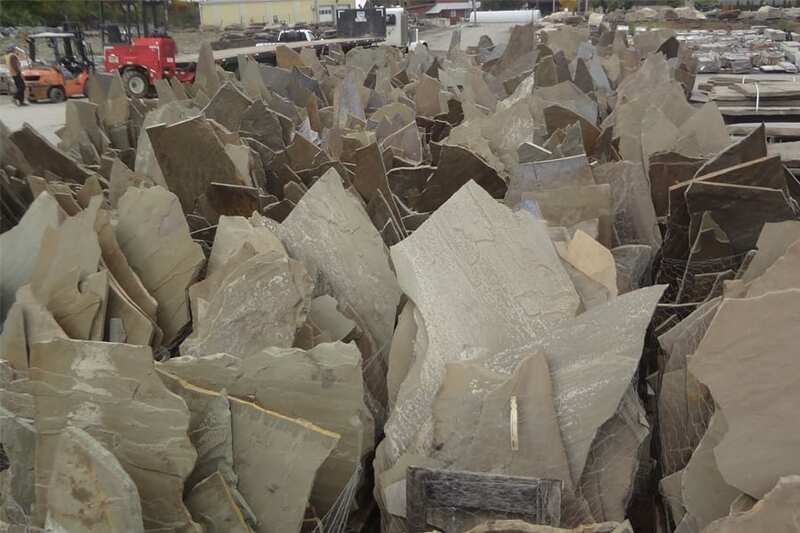 Not an easy color to describe - primarily light brown to tan, but White, Gray and Darker Brown can all have prominent roles in the overall color of a piece. This is very large stone and cannot be handled by one person. Strikingly beautiful, especially when wet - this is a classy stone. 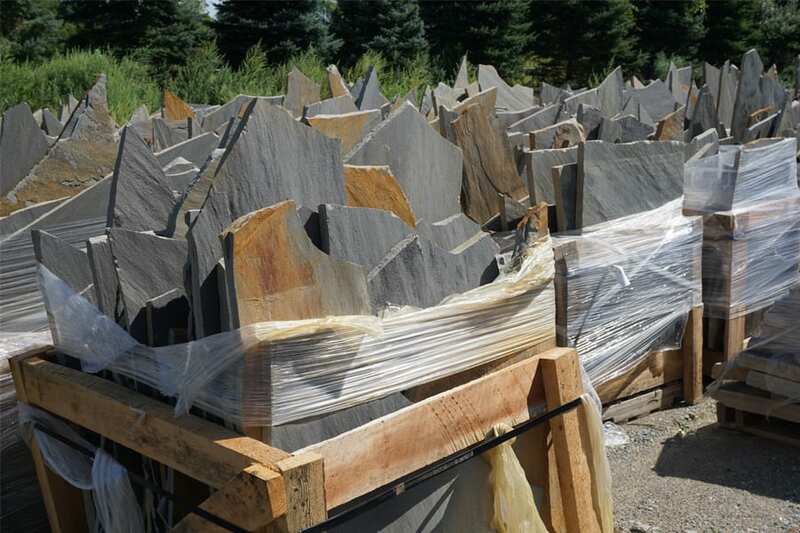 Wicki Stone does not carry any products that directly match Norwegian Buff Irregular.